Well I have been stitching a bit this weekend. Actually I've been stitching every chance I got. This is what the penguin looked like this morning. 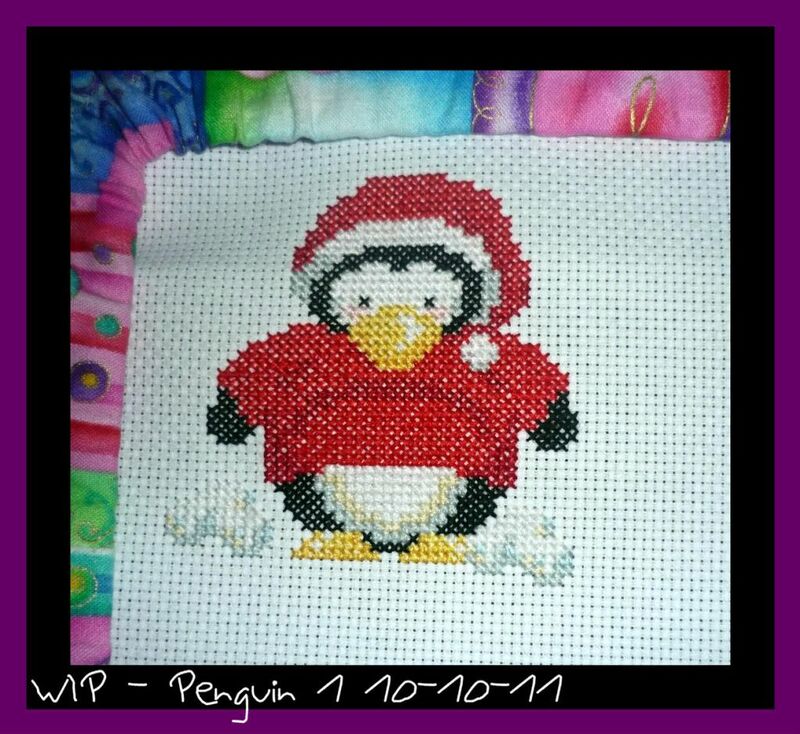 So I've been stitching this one since Saturday and he's ready for back stitch today. There may be another update later! I love my new frame! It's so light and so easy to use!